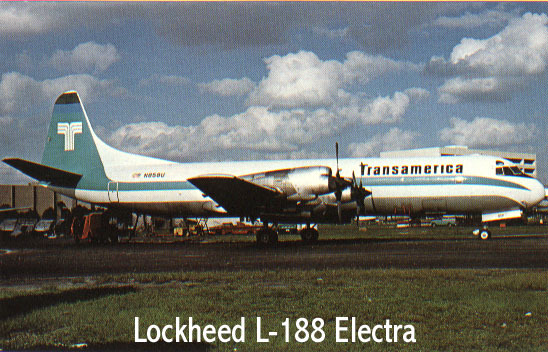 I was hired by Trans International Airlines (TIA) in February 1978 with my first job flying Lockheed L-188 Electras out of Willow Run airport between Detroit and Ann Arbor, MI. 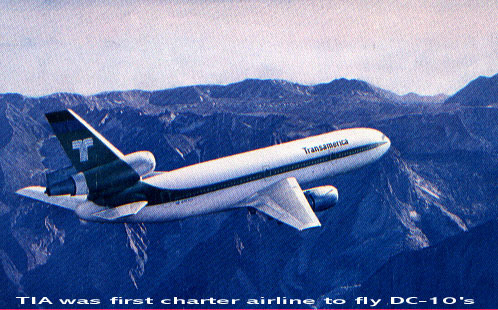 TIA soon renamed itself Transamerica Airlines for a better fit with it's parent company, Transamerica Corp. 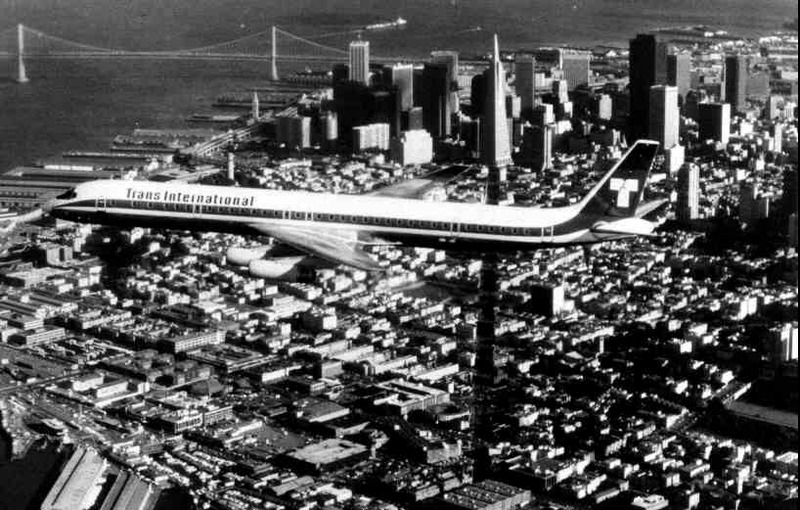 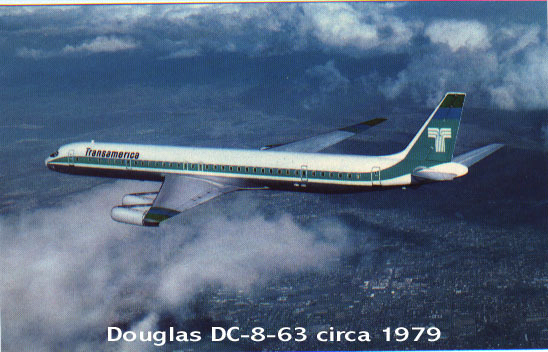 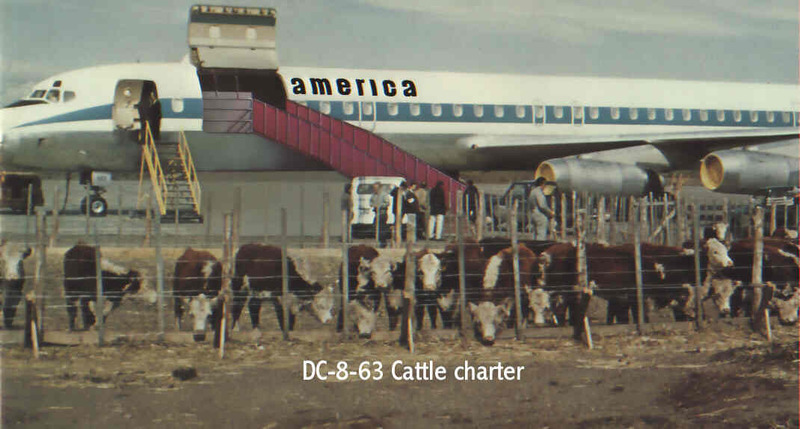 Within a year and a half I was off to Douglas DC-8 school and soon flying as First Officer in world wide charters. 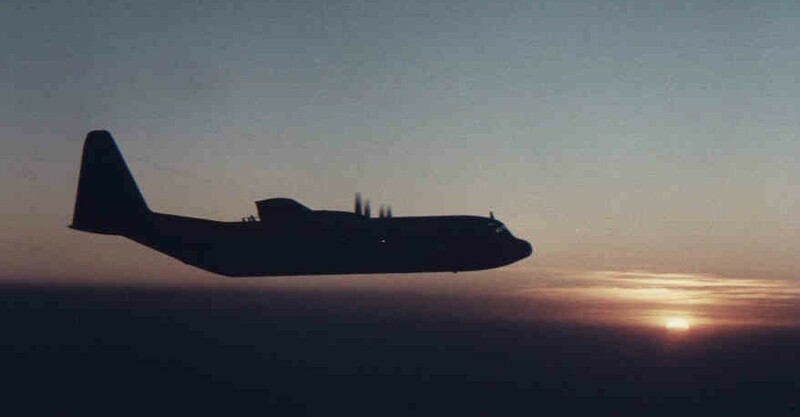 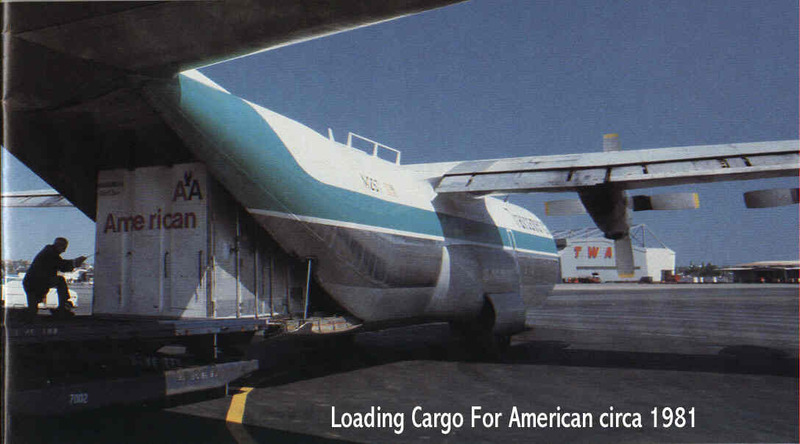 As the charter business took its ups-and-downs so did my flying. 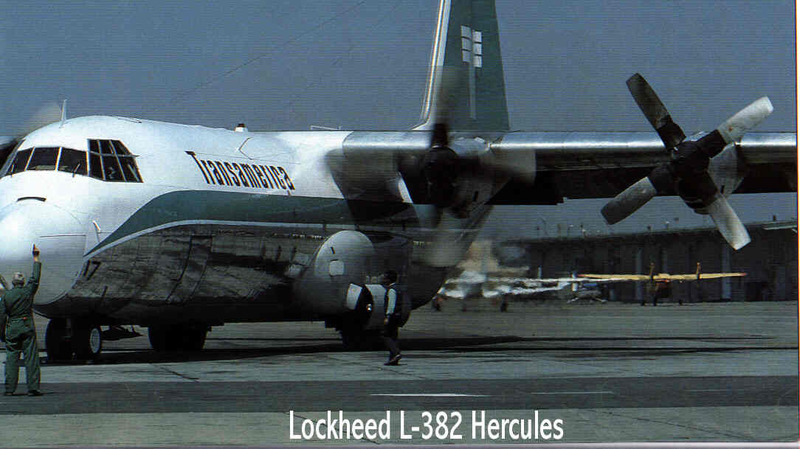 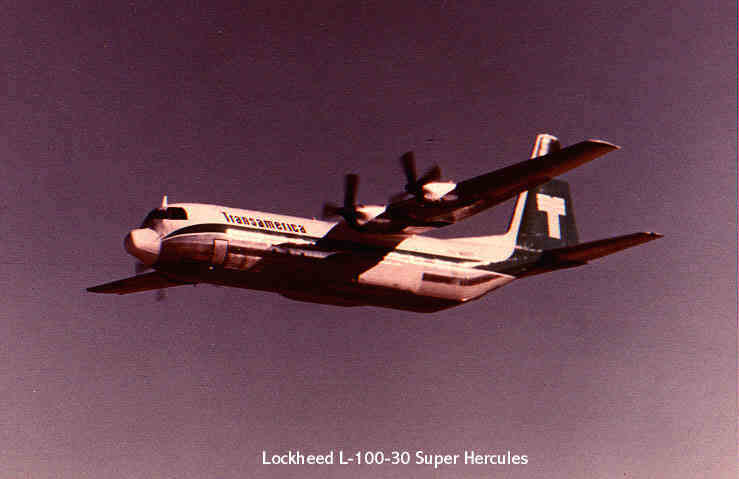 I went back to the Electra, then as FO on the Lockheed L-382 (or L-100-30) Super Hercules, back to the DC-8, and then in mid-1984 to Captain on the Hercules. 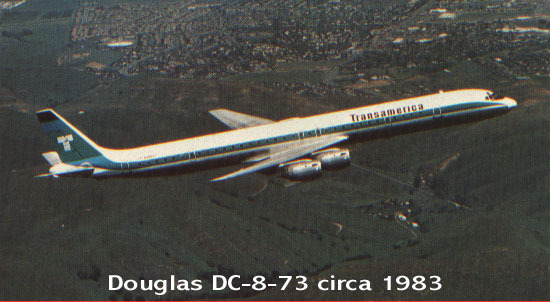 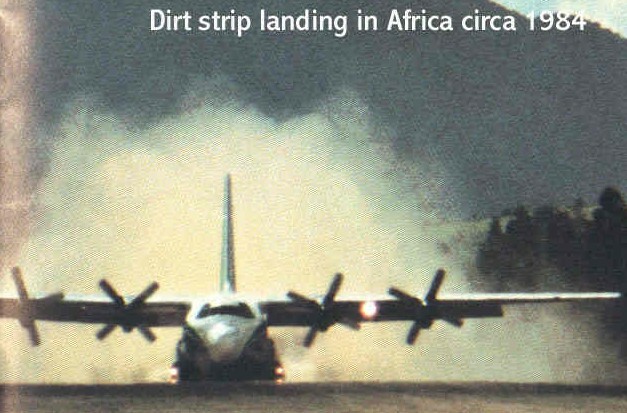 All the flying (over 3700 hours) was challenging, varied, interesting, and most of all fun, but ended in September 1986 when TA closed it's doors and sold off the airplanes. 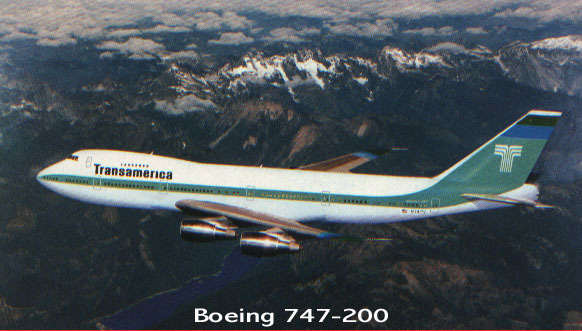 I had been domiciled for various lengths of time at Detroit, Dayton, Miami, Boston, Chicago, Indianapolis, Norfolk, but the majority of time in New York.